Planning a wedding is a big job, but our services will ensure you get the personal touch all the way through. We will guide you through tasting sessions, and will be available to chat to you at any point leading up to the big day itself. We don’t have a preferred menu that we want you to choose, in fact we positively encourage a bespoke and tailor made service so you can bring out your personalities in the food on the day. As popular wedding caterers in Devon, Dorset and beyond, we have learned one or two things about what really matters. Delicious food from a tailor made, unique menu is just one part of our job. The other is maintaining the theatre and presentation of the day. Developing a menu and service style that befits the theme of your wedding can turn a good meal into one which will be talked about for many years to come. From the rustic wooden platters we use to the outfits we wear, our goal is to become the perfect complement to your vision for your wedding day. 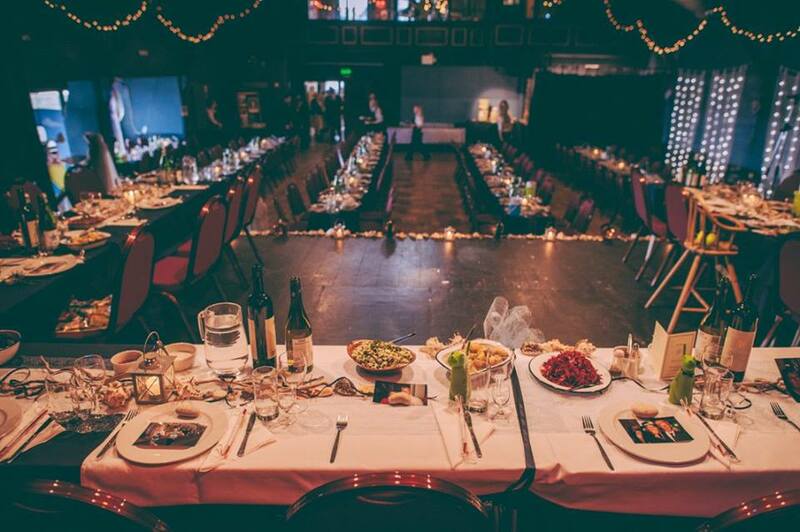 Tell us all about your dream wedding dinner, and we’ll do our best to make it happen. We make it easy for you to build your own menu from a wide variety of dishes and service styles to fit in with your needs. You can choose to go Spanish style, with tapas titbits and hearty paellas, or embrace the rustic charm of our gourmet roasted meats or traditional pie and mash. You could serve a classic afternoon tea, complete with vintage crockery and cucumber sandwiches, or could splash out on a fully serviced three course banquet that would rival any five star restaurant experience. You can, of course, choose to go for a mix of service styles or even something completely different. We love creating bespoke plans for our happy couples, so just get in touch if you have something in particular in mind. 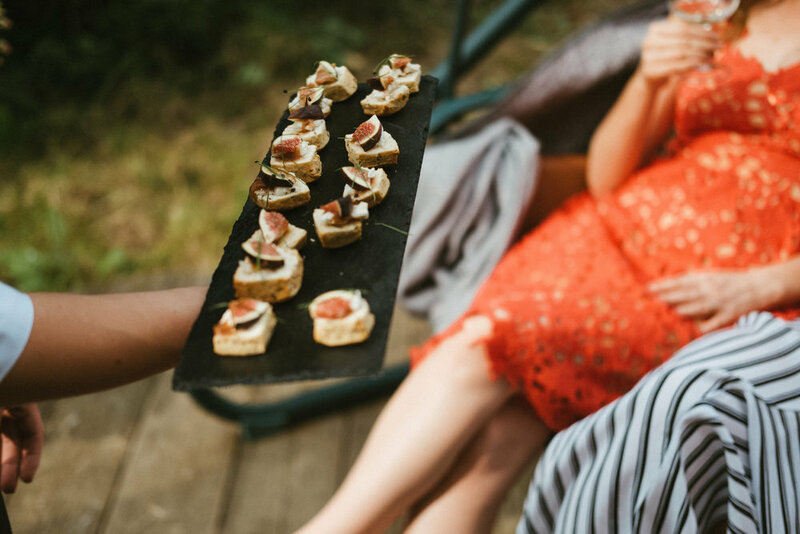 Whether you want your wedding catering in a Devon country house, on a Cornish beach or down on the farm in Somerset, we’ll be able to help create the perfect day for you and your guests. Download our wedding brochure to find out more about our menus and services, or contact us today to have an informal chat. 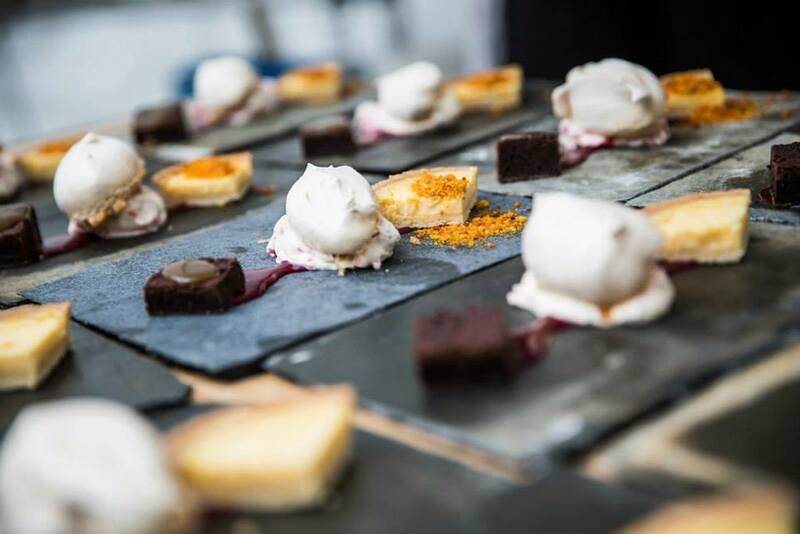 Lyme Bay Field Kitchen are Wedding Caterers Devon, Wedding Caterers Dorset, Wedding Caterers Somerset.